Tania Mallet wears Mary Quant (hat by James Wedge) on the cover of British Vogue, October 1, 1963. Photo: Brian Duffy. Image: eBay. Mary Quant sketch, ca. 1967. Image: V&A. The V&A is seeking vintage Quant for the show, including garments — or even photos of garments — made with Mary Quant patterns. See here for more details, or email the curators at maryquant@vam.ac.uk. Update: submissions are now closed. Celia Hammond and Jean Shrimpton in Mary Quant, ca. 1964. Photo: John French. Image: V&A. Image: Metropolitan Museum of Art. 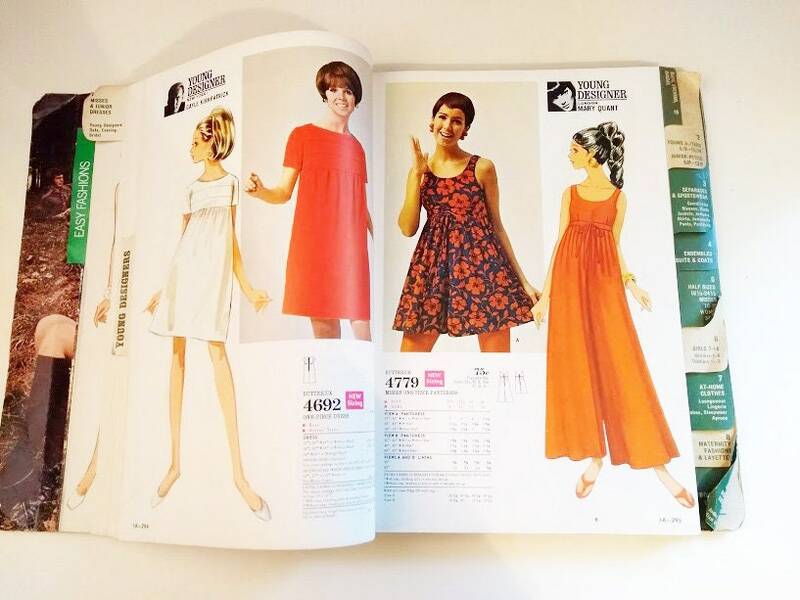 Right: Mary Quant pantdress pattern 4779 in the Butterick retail catalogue, November 1969. Image: Etsy. 1960s Patons Courtelle knitting patterns by Mary Quant. Images: Mary Maxim. 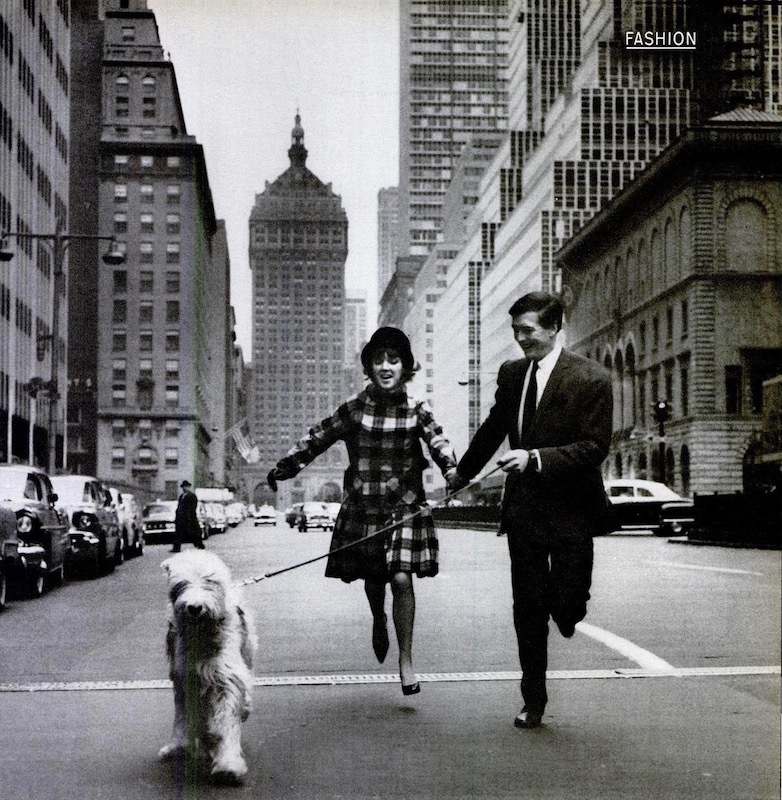 Mary Quant and Alexander Plunket Greene on Park Avenue, LIFE, December 5, 1960. Photo: Ken Heyman. Image: LIFE archive. Melanie Hampshire and Jill Kennington in Mary Quant’s Bank of England and Eton dresses, LIFE, October 18, 1963. Photo: Norman Parkinson. Image: Iconic Images. 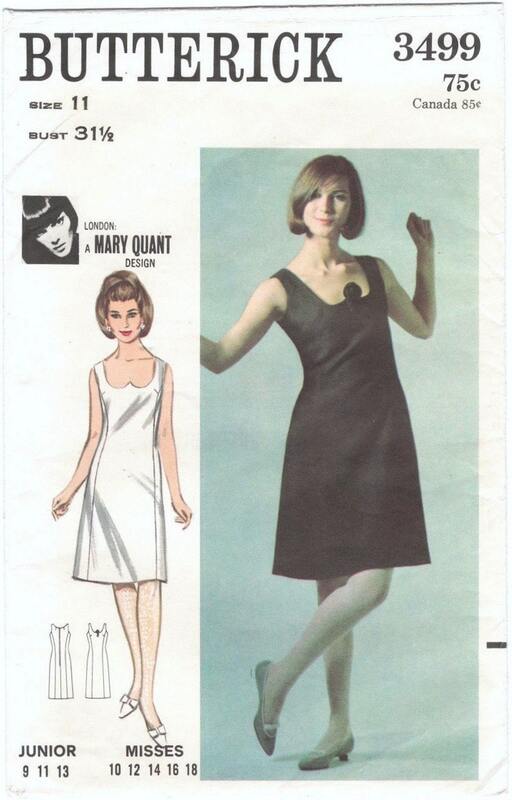 Butterick 3288 by Mary Quant. 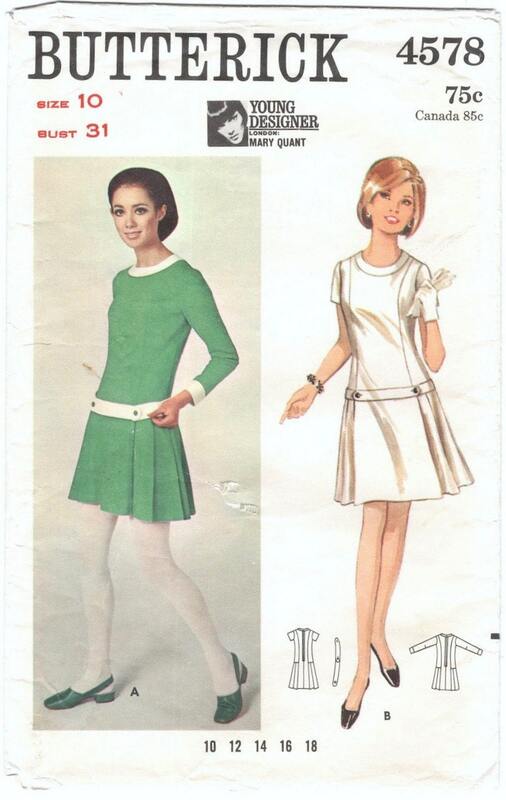 Butterick catalogue, October 1964. Photo: Terence Donovan. Model: Celia Hammond. Image: eBay. The Butterick Home Catalog hailed Quant as the originator of the Chelsea Look. Mary Quant in the Butterick Home Catalog, Fall 1964. Butterick 3499 by Mary Quant (1965) Image: PatternVault shop. “How to be a self made sensation.” Right, Jill Kennington in Butterick 3716 by Mary Quant. Queen magazine, August 11, 1965. Image: eBay. Here Moyra Swan models a mod scooter dress. Suggested fabrics include linen, jersey, lightweight wool, and knits. Butterick 4578 by Mary Quant (ca. 1967) Image: PatternVault shop. Butterick 5404 by Mary Quant (1969) Image: Etsy. Butterick 5857 by Mary Quant (1970) Image: Etsy. Mary Quant’s Butterick 5857 jumpsuit in the Fall 1970 catalogue. Image: tumblr. 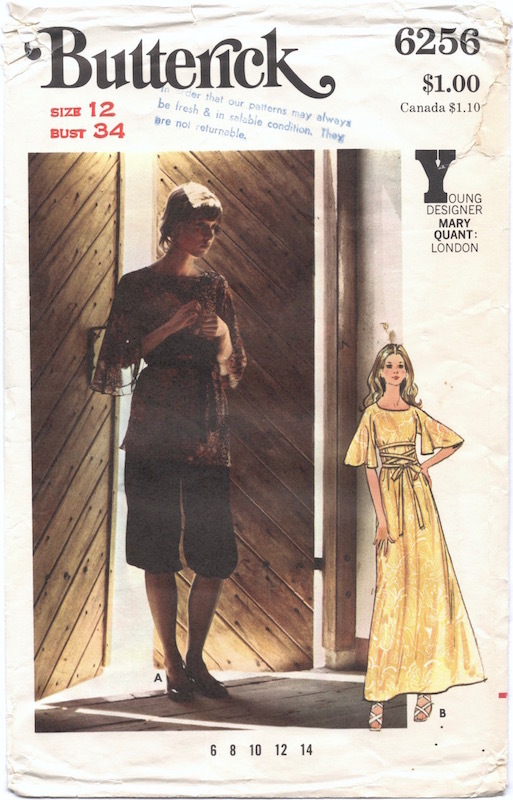 Mary Quant in a more romantic mode means a sheer tunic worn with knickers. View B is a maxi dress. 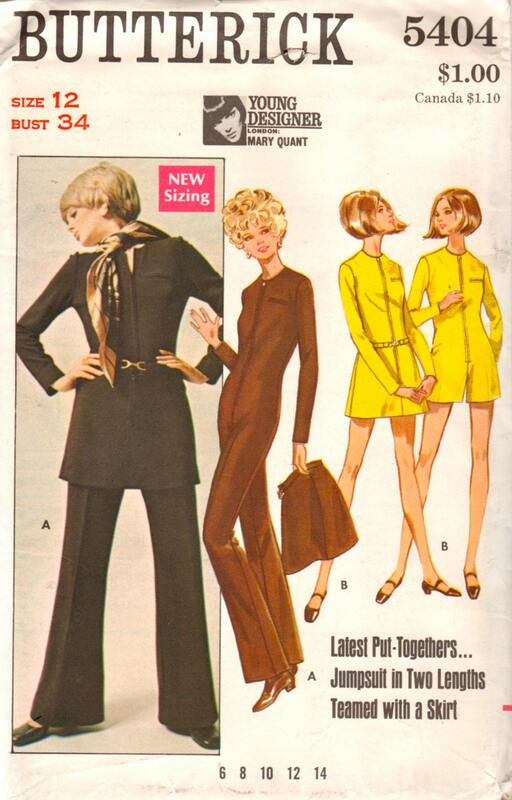 After 1971 or so, Butterick Young Designer patterns had illustrations, not photos. This Mary Quant dress dates to circa early ’73. 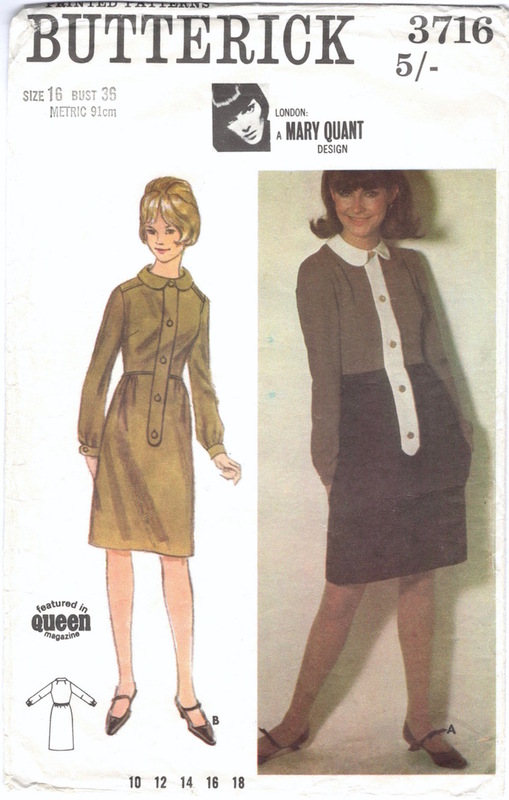 Butterick 6916 by Mary Quant (ca. 1973) Image: Etsy. 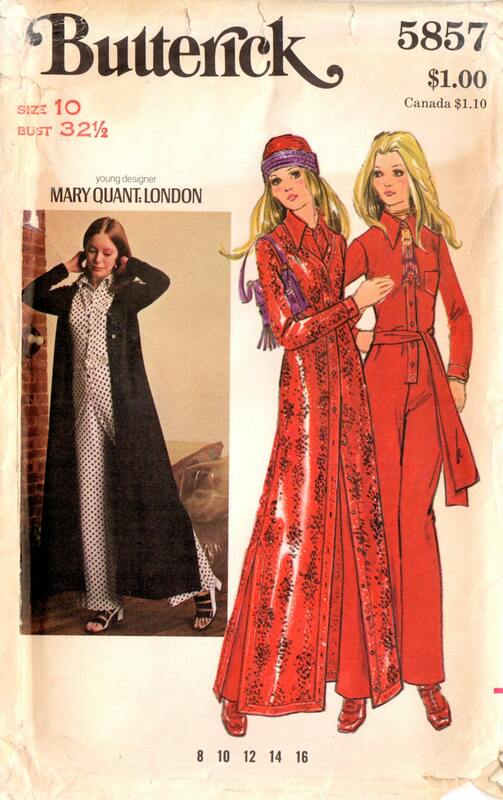 Have you made anything from a Mary Quant pattern? 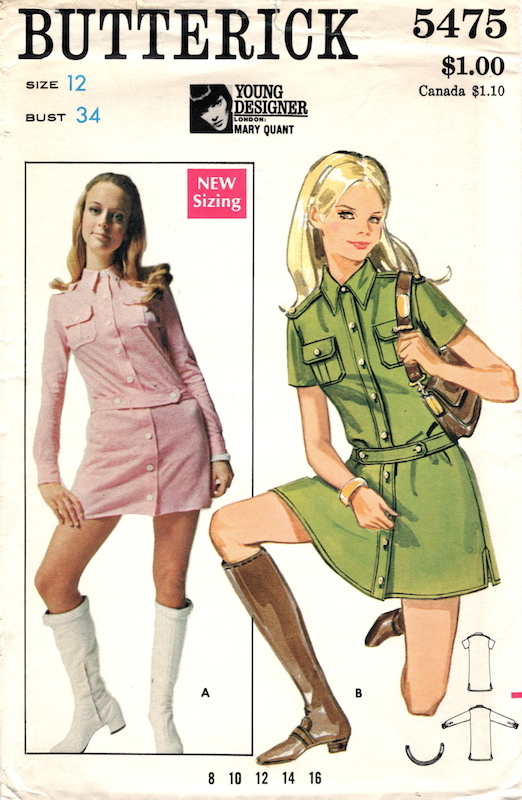 Butterick 4128 by Mary Quant, Butterick catalogue, October 1966. Model: Maren Greve. Image: Instagram. Thank you so much for featuring these beautiful Mary Quant patterns. I was 13 when 3288 was first issued in late 1964, and my mum made me 2 versions for Christmas. I loved those dresses probably more than anything else that I’ve ever worn, and I wore them for about 8 years, though at some point (1968? ), I lopped off 6 or 8 inches to make them mini-dresses. 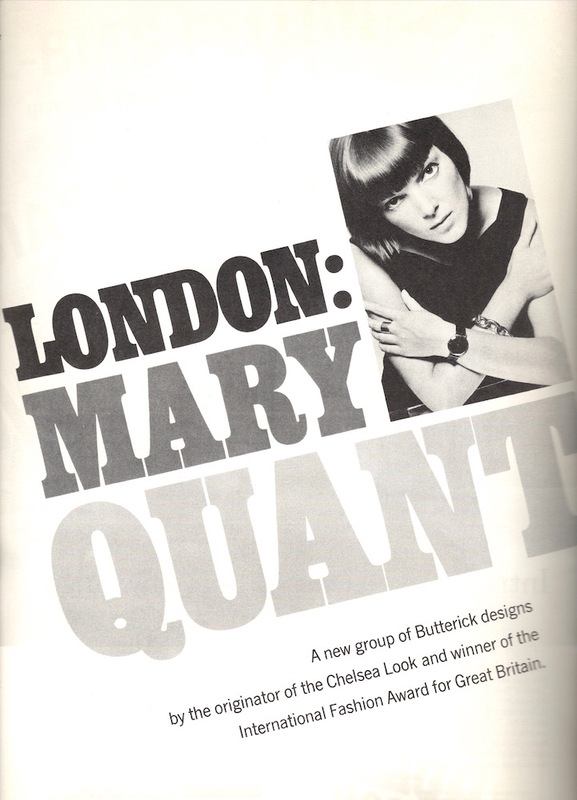 Mary Quant was the first clothing designer whose name and look I could recognize. One girl in my neighborhood had a Quant coat her father had bought her in London, there was much drool and envy. Your links seem to have failed for some of these images. I will return to check them out. I am curious to seek out what the conservation issues were. Oh! Never update with the WordPress app.. Will fix asap. Absolutely love the Mary Quant vibe! Thanks so much for the inspiration.